Red Ball 5 is back and better than ever, with new monsters to defeat, obstacles to overcome, better, more impressive graphics, and new challenges! If you loved the earlier versions of the Red Ball game, then you are sure to love this segment! 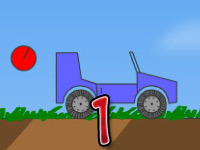 Do you have what it takes to beat all 30 levels with a perfect score? Test your skills now! 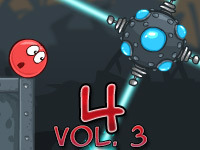 Similar to the previous versions, Red Ball 5 players play as Red Ball. 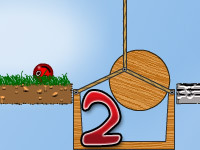 Using the arrow keys or the ASWD keys, guide Red Ball through the maze of levels and challenges to complete each level. 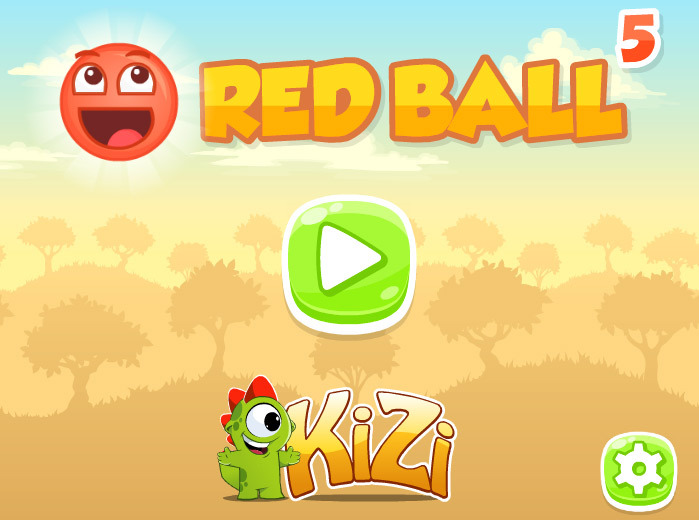 Unlike previous versions, in Red Ball 5 there are no hotkeys to use in order to restart the game, return to the main menu, or toggle the music and sound effects. Instead, players must click on designated icons for each setting within the Menu screen. Your primary objective is to collect as many stars as possible throughout each level. In addition to collecting stars, you will need to seek out the various hidden objects throughout the game. Each level has one or more hidden chests which may include golden grape leaves or golden keys that will be needed in order to unlock other passageways that you’ll need to access. Collect all of the stars and find all of the hidden objects in each level within a certain amount of time to earn 3 stars for that level. Unlike the previous versions, this game does not include an achievement board filled with various achievements that will help raise your score with bonus points. Instead, your score is based on three factors: completing each level with full health, completing the level within a short amount of time, and collecting all of the stars and hidden objects scattered throughout each level. Similar to the last version, players begin the game with three health hearts. Each time you touch a monster without killing it, you lose half a health heart and will have to restart the level at the last completed checkpoint. If you lose all three health hearts in a single level, you will restart the level from the beginning. 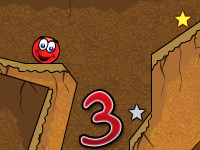 Red Ball 5 offers many more levels for players to enjoy – in fact, there are 30 levels included in this series! Each level becomes more difficult than the last, however the same basic concept is the same in all levels: gather gold stars, find secret objects, kill the monsters, and finish the level in record time and with all lives. 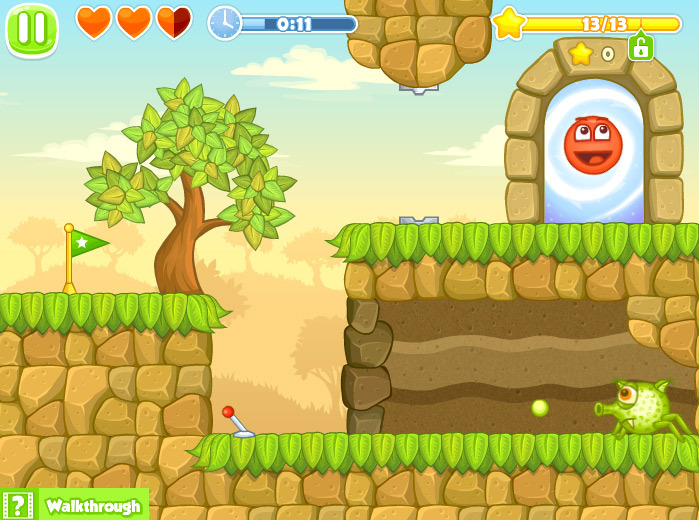 The game offers players many new monsters to defeat and new obstacles to overcome. For example, players may come across SpitShooters, Spiked Cactuses, Spiders, and Bats throughout various levels. SpitShooters are little green monsters that spit green, slimy balls at you. If you get hit by one of these slime balls, or touch the SpitShooter without killing it, you will lose half a health heart. 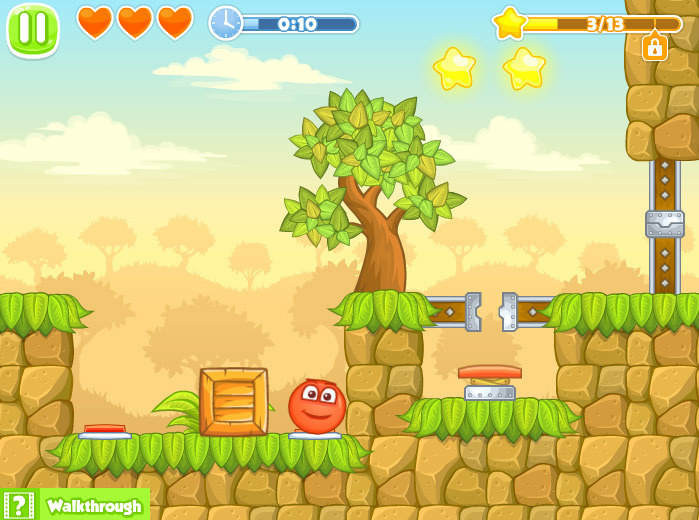 Some examples of new obstacles that are found throughout this version may include floating/moving platforms, disappearing cloud platforms, and springs to help you bounce high in the sky to collect various items or reach higher platforms. Having trouble with a particular level? Don’t stress, there are plenty of walkthrough videos available on the Internet. A simple Google search, or browsing the massive list of videos available on YouTube can quickly and easily help you complete even the most challenging level: level 30.